Healthcare information systems (HISs) have been conceived as systems, replacing previously paper-based data, directed to facilitate the acquisition, utilization and sharing of information in healthcare settings. Electronic Health Records (EHRs) are healthcare information solutions that allow clinicians and staff of a given healthcare organization to access, gather, organize, store and share clinical information concerning a patient as well as permitting the prescription and scheduling of therapeutic acts. EHRs allow constituting structured clinical repositories accessible to a large amount of professionals without being close to the patient (Feufel et al., 2011) that can be used for quality and research purposes (Yamamoto and Khan, 2006). Moreover, they are means of practice standardization, building on streamlined models of data registration and communication intended to avoid error and foster quality and efficiency (Vishwanath et al.,2010). Finally, they are reliable tools for decision-making, as their system-aware nature, constructed around optimized workflows, is intended for action mapping (Likourezos et al., 2004). 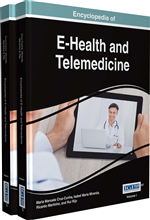 The comprehensive support that EHRs are apt to provide is particularly relevant in hospital settings where a wide number of professionals, pertaining to different practice categories and with diverse specializations, are obliged to develop interrelated clinical daily routines who are highly reliant on the possibility to easily access and transmit detailed and complete information, and endure necessary but repetitive tasks that are often exposed to errors, malpractice and inefficiencies. An EHR that is able to communicate with other existing administrative and technical systems allows, within a hospital, for a support of clinical practice transversal to the organization, striving for cohesion of the process of care delivery.